John Frost was born in Newport, Wales, on 25th May, 1784. John's father died when he was a child and he was raised by his grandparents. After a brief period at school he became an apprentice bootmaker to his grandfather. At the age of sixteen he left home and became a tailor in Cardiff. He then spent periods working as a tailor in Bristol and London. Frost returned to Newport in 1806 to start his own business. Frost's business prospered and in 1809 he became a burgess. He also married and during the next eleven years his wife had eight children. Frost was a passionate reader and was deeply influenced by the political works of Tom Paine and William Cobbett. In 1821 Frost became involved in a legal dispute with Thomas Prothero, a Newport solicitor. The original problem concerned the will of John Frost's uncle, William Foster. Frost accused Prothero of being responsible for Foster's decision to exclude Frost from his will. When Frost included this in a letter, Prothero sued for libel and in March 1822, Frost was fined £1,000. Frost continued to accuse Prothero of malpractice and in February 1823, he was found guilty of libel again, and this time he was sent to prison for six months. Frost was told he would serve a long prison sentence if he repeated his allegations against Thomas Prothero. Frost therefore decided to direct his anger against Prothero's close friend, Sir Charles Morgan, one of the major landowners in Newport. In 1830 he wrote a pamphlet, A Christmas Box for Sir Charles Morgan, where he accused the landowner of badly treating his tenants. In the pamphlet John Frost also advocated that universal suffrage and secret ballots was the only way to curb the power of people like Sir Charles Morgan. Over the next five years Frost established himself as the leader of the supporters of universal suffrage in Newport. As a result of the Municipal Corporations Act, tradesman such as John Frost became more powerful in the running of towns. In 1835 Frost was elected as one of Newport's eighteen new councillors and was also appointed as a magistrate. The following year he was elected mayor. However, his aggressive behaviour upset a lot of people and Frost was replaced as mayor in 1837. Frost now concentrated his efforts in campaigning for the People's Charter. At the National Chartist Convention Frost emerged as one of the leaders of the Physical Force Chartist. Lord John Russell, the Home Secretary was appalled when he discovered that a magistrate was advocating the use of violence. In March 1839, the Home Secretary decided to have Frost removed as a Newport magistrate. In May 1838 Henry Vincent was arrested for making inflammatory speeches. When he was tried on the 2nd August at Monmouth Assizes he was found guilty and sentenced to twelve months imprisonment. Vincent was denied writing materials and only allowed to read books on religion. Chartists in Wales were furious and the decision was followed by several outbreaks of violence. Frost toured Wales making speeches urging people not to break the law. Instead Frost called for a massive protest meeting to show the strength of feeling against the imprisonment of Henry Vincent. John Frost's plan was to march on Newport where the Chartists planned to demand the release of Vincent. The authorities in Newport heard rumours that the Chartists were armed and planned to seize Newport. Stories also began to circulate that if the Chartists were successful in Newport, it would encourage others all over Britain to follow their example. When John Frost and the 3,000 marchers arrived in Newport on 4th November 1839 they discovered that the authorities had made more arrests and were holding several Chartists in the Westgate Hotel. The Chartists marched to the hotel and began chanting "surrender our prisoners". Twenty-eight soldiers had been placed inside the Westgate Hotel and when the order was given they began firing into the crowd. Afterwards it was estimated that over twenty men were killed and another fifty were wounded during what became known as the Newport Uprising. Frost and others involved in the march on Newport were arrested and charged with high treason. Several of the men, including John Frost, were found guilty and sentenced to be hanged, drawn and quartered. The severity of the sentences shocked many people and protests meetings took place all over Britain. Some Physical Force Chartists called for a military uprising but Feargus O'Connor refused to lead an insurrection. The British Cabinet discussed the sentences and on 1st February the Prime Minister, Lord Melbourne, announced that instead of the men being executed they would be transported for life. John Frost was sent to Tasmania where he worked for three years as a clerk and eight years as a school teacher. 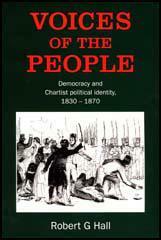 Chartists continued to campaign for the release of Frost. Thomas Duncombe pleaded Frost's case in the House of Commons but attempt to secure a pardon in 1846 was unsuccessful. Duncombe refused to be defeated and in 1854 he persuaded the Prime Minister, Lord Aberdeen, to grant Frost a pardon but he stipulated that he must not enter British territory. Frost and his daughter, Catherine, who had joined him in Tasmania, went to live in the United States. Frost toured the country lecturing on the unfairness of the British system of government. In 1856 the government changed its mind and Frost was allowed to return to Britain. Frost retired to Stapleton where he wrote articles for newspapers on subjects such as universal suffrage and prison reform. John Frost died at the age of ninety-three on 27th July, 1877. (1) On 2nd April 1839 John Frost sent a letter to William Lovett about a meeting he had organized with Henry Vincent. I gave them a short history of the poor law amendment act; the causes assigned by members of both houses for passing that act; its effects on society, immediate and remote; the treatment of the poor in many of their bastiles. I spoke to a most attentive audience, and I am persuaded that his lordship will have some difficulty in rubbing out the impressions. I talked to them about striking me off the commission; I informed them what the opinion is of the inhabitants of Newport as to my services as a magistrate. I showed them the sort of magistrates who were high in favour with the present government, and the sort of conduct which raised magistrates in the estimation of the authorities. A number of the electors told me they would vote for me; and I believe there is not a member now sitting in the House of Commons more despised by the electors than is the member for Stroud. After I ceased speaking, Mr Vincent proposed the following resolution: 'That this meeting feels called upon to denounce the public conduct of Lord John Russell, the miscalled representative of the people of the borough, together with the administration of which he is an individual member; and to declare that his lordship and his colleagues are guilty of high treason to the principles which they formerly professed.' Mr Vincent, in a very powerful address, finished the business, and I am thoroughly convinced that at the close of his address there was not a single elector on the hill who was not ashamed of the poor haughty little aristocrat. The people in that part of Gloucestershire are all alive. It would be of immense advantage to have a missionary there for a month. Deputations were at Stroud from different places, requesting some one to attend and to hold public meetings. We are getting on well, very well, in Monmouthshire. 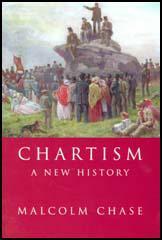 (2) Barnabas Brough, A Night With the Chartists, was published in 1847. Mr John Frost was well known to, and much respected by, me; and, up to the time of his becoming a delegate to the Chartist Convention, I was not only on friendly terms, but in political agreement with him, both of us inclining to what was then considered the Radical side of Whiggism, now the politics of the majority. When Mr Frost became publicly a lecturer on, and a supporter of Chartism (though our social intimacy continued), our political agreement was disrupted; so much so, that on many occasions I publicly opposed, not only what Mr Frost advocated, but also the sentiments of his friend Vincent, as well as those of Jones. Of Zephaniah Williams, I knew but little: simply that, he being a publican, and myself a brewer, I had merely a commercial knowledge of him.